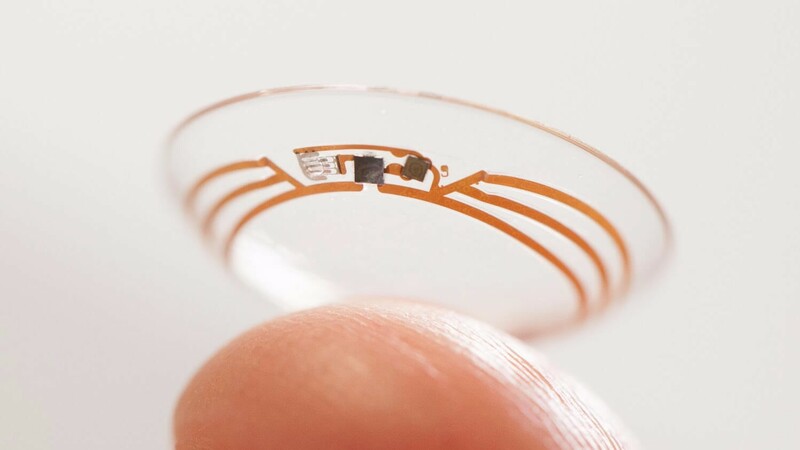 In 2014, Google unveiled its ‘smart’ contact lens that could measure glucose levels in the tears of diabetes patients. Born from a collaboration with Swiss pharma giant Novartis, the lens signalled a legitimate innovative solution to continuous glucose monitoring. Since then, the company has become a conglomerate by the name of Alphabet, with a number of subsidiaries, including Calico, GV, Google Capital and the renamed Google Life Sciences subsidiary Verily. Verily has been advancing Alphabet’s healthcare ambitions, with projects this year including a collaboration with Merck Sharpe & Dohme and the NHS on a ‘Long Term Conditions Early Intervention’ programme, and the formation of a bioelectronics medicines firm with GlaxoSmithKline under the name of Galvani. This week, Verily reinvigorated its interest in diabetes with the announcement that it would be working with Sanofi to form Onduo – a joint venture focused on helping people with diabetes through devices and software solutions. The venture will leverage both Verily’s tech expertise and Sanofi’s experience in the diabetes drug market to initially focus on developing solutions for type 2 diabetes, before expanding into type 1 and at-risk diabetes populations. As an initial testing phase, Onduo’s tech will be rolled out across the Sutter Health Network and Allegheny Health Network, exposing the tech to 3 million patients and more than 1,100 physicians, respectively. Verily’s ambitions in diabetes came to the fore in 2014 when the company unveiled its ‘smart’ contact lens capable of measuring glucose levels from the wearer’s tears. The collaboration has been a long time in the making with initial plans to work with Verily revealed by Sanofi last year. At the time, the project was described as a way to “provide a more continuous and real-time view of patients’ health” by CEO of the life sciences team at Google, Andy Conrad. The venture is reportedly worth an estimated $500 million based on Sanofi’s $248 million, 50% stake in the business. Onduo is the latest in an ongoing trend of pharma companies realising the potential of recruiting technology companies into their operations. Telecommunications company Qualcomm is a popular choice in the COPD market, teaming with Novartis and Boehringer Ingelheim to develop ‘smart’ inhalers based on its connectivity technologies. IBM is another huge tech specialist lending its hand to healthcare, most recently joining the Oslo Cancer Cluster – which includes the likes of AbbVie, Amgen, AstraZeneca and Roche – to accelerate the development of new cancer diagnostics and medicines. On the topic of IBM Watson, the company unveiled its latest partnership this week. The Finnish Funding Agency for Innovation, Tekes, will team with the artificial intelligence specialist to improve Finland’s healthcare economy through the development of personalised health and wellbeing innovations. The deal will see the establishment of a Watson Health Centre of Excellence, the first Nordic Healthcare Healthcare Competence Centre, and the first National Imaging Centre of Excellence outside the US, in Finland. The centres will employ a total of 150 people over the next few years. Finnish doctors and researchers will work with Watson scientists and use the Watson Health Cloud to create a new generation of healthcare applications and solutions, advancing research and development and innovation efforts in the country. Numerous institutions across the country will utilise Watson’s tech. The University of Jyväskylä in Central Finland, for example, will focus on developing applications to improve Finnish citizen health. The Hospital District of Helsinki and Uusimaa (HUS) will use Watson’s cognitive computing technology to aid in the early identification of serious bacterial infections in premature babies, to improve cerebral haemorrhage imaging, and to provide personalised cancer care options to physicians. The decision to establish such operations in Finland may seem intriguing, but it will take advantage of the country’s unique healthcare ecosystem. It boasts a full electronic health record system, nationwide access to healthcare, and close relationships between the private and public healthcare sectors, making it attractive for Watson. The country is also considered to be at the forefront of new legislation for the secure use of data on wellbeing and health issues, as demonstrated by its eHealth and eSocial Strategy 2020. Finland sits second only to Denmark in the adoption of eHealth solutions among its patients and doctors. IBM Watson really is stretching its influence worldwide, teaming with multiple countries to improve the general health of citizens. It continues to work with the NHS’ Alder Hey Children’s Hospital to create the UK’s first ‘cognitive hospital’; it is to be used in the US Cancer Moonshot 2020 initiative to tackle veteran cancer; and it will be used to help personalise cancer care in China. One area where mhealth solutions could make a real difference is in mental health. The potential of apps to treat mental health issues such as depression and anxiety recently came to the fore with the explosion of the augmented reality game Pokémon GO. 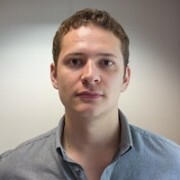 The game’s pre-requisite for players to physically travel to geographical locations meant that players with mental health issues were forced to leave their homes, partake in some light exercise and maybe even interact with other players – all of which are known to help with conditions such as depression and anxiety. Though it should not to be pigeon-holed in the gaming category, Pfizer released its own mhealth solution this week, specifically targeting people with depression. Moodivator is an iOS app that allows users to track their mental state, set goals and tasks for themselves, and share results with their care team. Users can personalise aspects of the app, such as making goals as simple or complex as desired, and a ‘Goal Motivation’ feature lets users describe why the goal is important to them. Action steps – which can again be customised – can then be set to help the user achieve their goals. Users can also set reminders to help them manage their own progress. A simple slider scale lets users record their mood and additional notes can be entered to give details of what may have led to their particular mood. Charts can then be created from the data and shared with their care team. 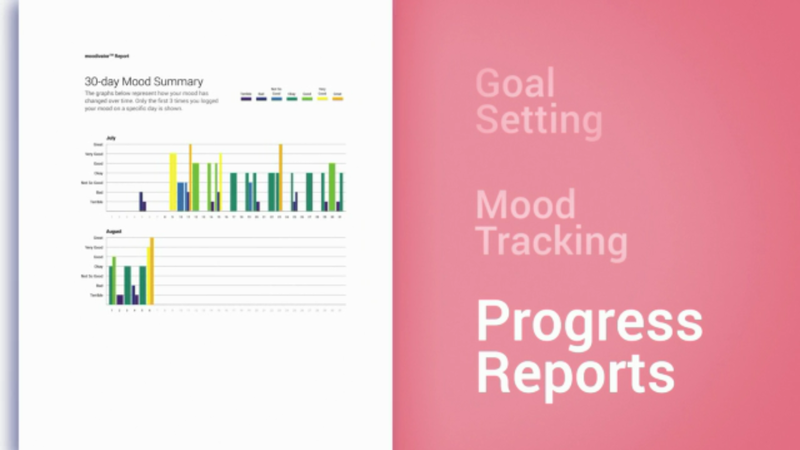 Charts can be produced from tracked moods, helping both users and healthcare providers get an accurate representation of a person’s mental state. Pfizer is somewhat of a veteran in the app market, with 14 apps currently available through the US iTunes app store. Among those is a smoking cessation app called Quitter’s Circle, a haemophilia management app called HemMobile, and a kidney cancer management app called Kidney Cancer Planner. In July, it released a screening tool for its SPIRE-1 and SPIRE-2 clinical trials in the UK, investigating its PCSK9 inhibitor bococizumab.